You are viewing the Kelly Thompson tag archive. Thirteen-year-old Lucy has an otherworldly dream that feels real. She later learns that her parents worked on multiverse science when she was in the womb, genetically passing on the ability to travel to other timelines while she sleeps. Lucy’s best friend turned make-out partner, Welsey, has the same ability, gained in the same manner, but uses it to a different end. 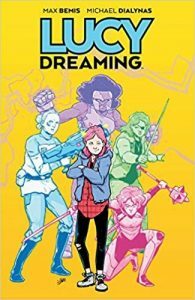 Lucy faces a threat in the dream world that she needs to fight in order to save the lives of people she loves in the waking world. 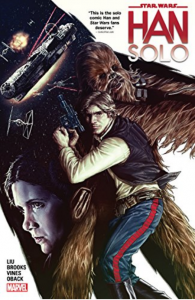 With the latest Star Wars movie, Solo: A Star Wars Story, coming to theaters later this month, it seems like a great time to explore Star Wars comics. 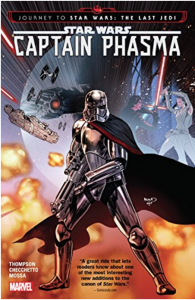 In the years since the first Star Wars movie was released, there has been a huge range of licensed books and graphic novels set in the Star Wars universe and many of these stories have been created by women. This list features a few of these comics. 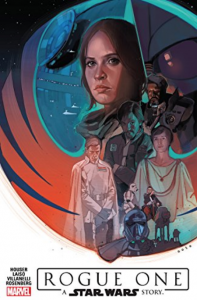 Star Wars fans will see some familiar characters and a few new ones as well, but throughout there is the same sense of adventure that is found in the movies. Whether you and your patrons are getting ready for the new movie or want more stories after seeing it, this list will have something to fit your need. A truly great mystery that can keep you guessing until the last page is tough to create but very satisfying to read. 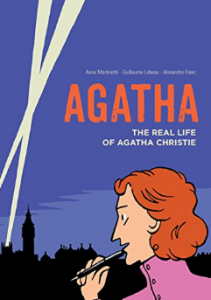 While this genre isn’t particularly common in recent comics, there are some great examples of mystery stories and a biography of one of the most famous authors in this genre that will appeal to mystery fans who also love comics. Comics may not necessarily seem like a natural fit for music fans, but in reality there are a number of great (and in some cases, even iconic) bands in comics. Best of all, many of these comics feature female musicians and are written or illustrated by women. This list collects a few of the best of these and offers a little something for everyone. 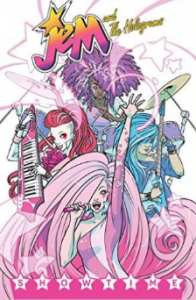 Jem and the Holograms Volume 1: Showtime by Kelly Thompson with art by Sophie Campbell – Jerrica is a skilled singer but she also has a serious case of stage fright. When the band that she and her sisters have formed has an opportunity to play as part of a video contest, she finds that she can’t even record their song due to her shyness. 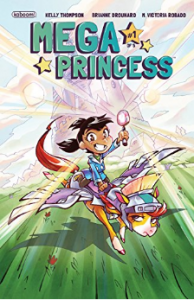 While struggling to live up to her sisters’ expectations, she discovers that her father has left her the technology to create a hologram to sing in her place. This is all just the background though for a story that is really about relationships of all kinds including fans, friendship, family, and romance. 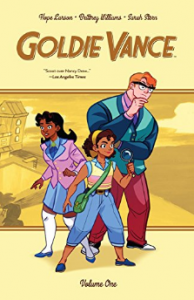 The story features a great and diverse cast and it will please both readers who are fans of the 1980’s Jem cartoon series and those who have never met these characters before. 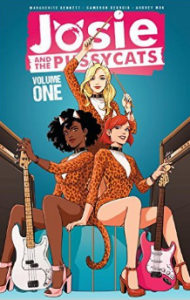 Josie and the Pussycats by Marguerite Bennett and Cameron Deordio with art by Audrey Mok – Starting in the Fall of 2016, Marguerite Bennett, Cameron Deordio, and Audrey Mok reinvented the classic story of Josie and the Pussycats. Built on the same foundation as the classic comics, this new incarnation has a brand new origin and a great focus on the importance of friendship to the band’s success or failure. 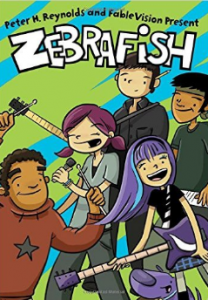 This is a great read for musicians, Archie fans, and those who want to read a great story about fame and friendship. The first volume won’t be out until August, but you can start catching up on individual issues now. This is a post about the power of friendship . . . magical girl friendship. 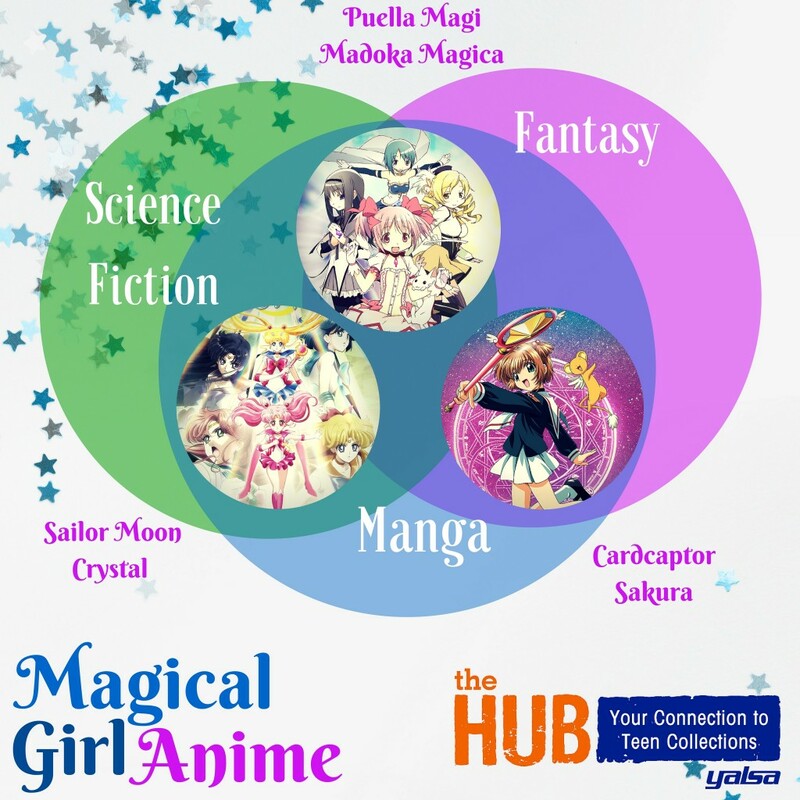 All three of these anime titles feature coming of age stories with a sprinkling of magic and science fiction on top. Like the Sisterhood of the Traveling Pants . . . but with superpowers. 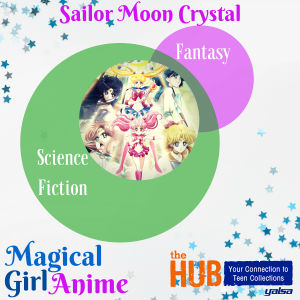 It is a huge shock when Usagi Tsukino discovers that she is Sailor Moon, a magical warrior sent from the distant past to defend earth. Luckily she is about to find the rest of the Sailor Guardians to help her fight the forces of evil.